On Tuesday, September 2nd, bitstars‘ CEO Mostafa Akbari gave a presentation about the interplay between augmented reality, wearables and the Internet of Things as different technologies at the MobileTech Conference in Berlin. During his presentation, Mostafa provided a close insight at current technologies in the mobile industry finding their way in our daily life. After contributing a detailed outline of smart sensor tags and a comparing presentation of BLE and iBeacon, he explained their limits and showed the interaction possibilities of the future. As exemplary technologies, Mostafa delivered an introductory overview of the MYO technology by Thalmic Labs, Google Glass as well as the ORA-1 glass by Optinvent and presented them through live demos. As the Internet of Things becomes larger from day to day, taking in even more devices and gadgets, it becomes more relevant for our daily lives to know how to make use of it. 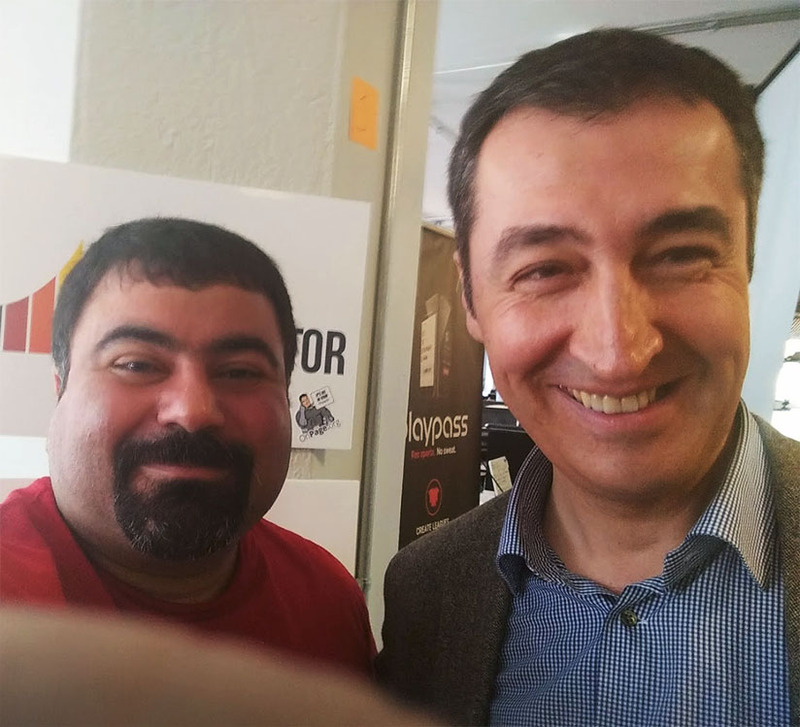 In coherence to the development of the Internet of Things, Mostafa presented the new BitOS – a SmartHome System relying on sensor tags, the WIFI network as well as cameras with motion detection which currently are being developed and tested in the bitstars’ office. At last, Mostafa introduced the first game FloppyDroid for smartwatches so far, being developed by bitstars, and finished by explaining the positive aspects of the use of Augmented Reality solutions for maintenance in Industry 4.0. CEO of bitstars, Mostafa Akbari, at the MobileTech Conference. Also see here for more infos about the event on the german webpage of the MobileTech Conference. bitstars CEO Mostafa Akbari is known as a specialist for Mobile Technology and Augmented Reality. 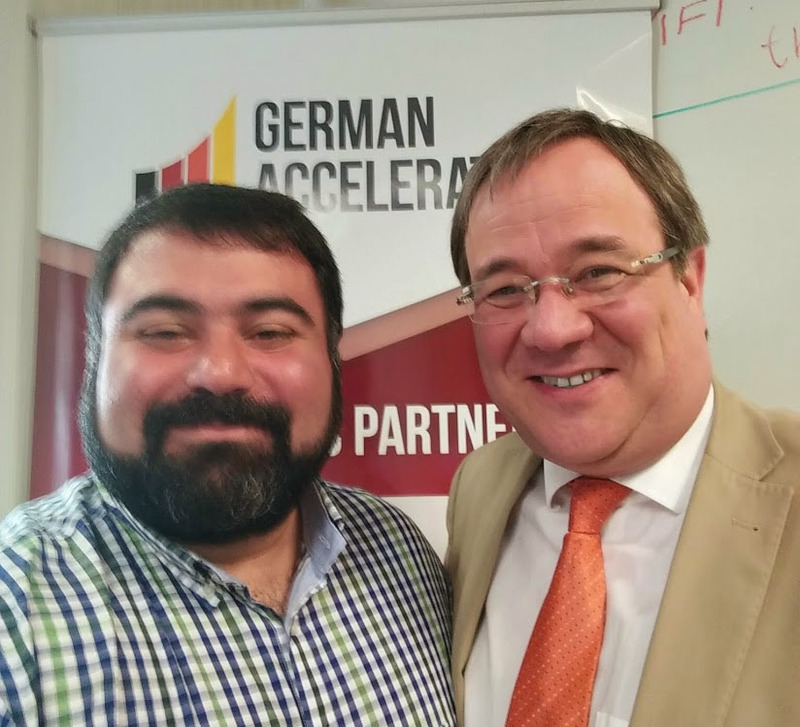 After being named as a member of the Jury of the MobileTech Awards Mostafa has been interviewed by Hartmut Schlosser for JAXenter about the future of the ’smart things‘. 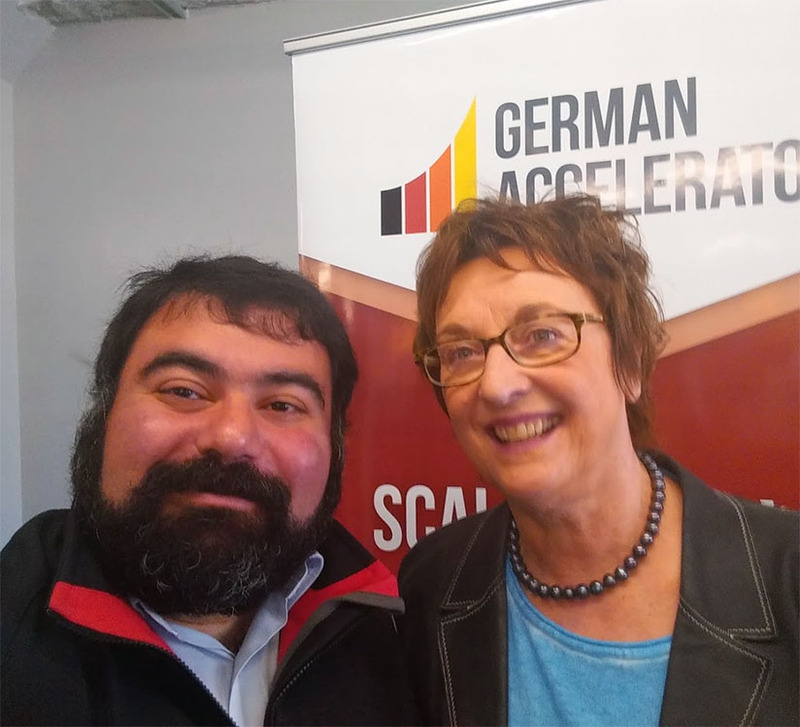 Read the full article in German at JAXenter. 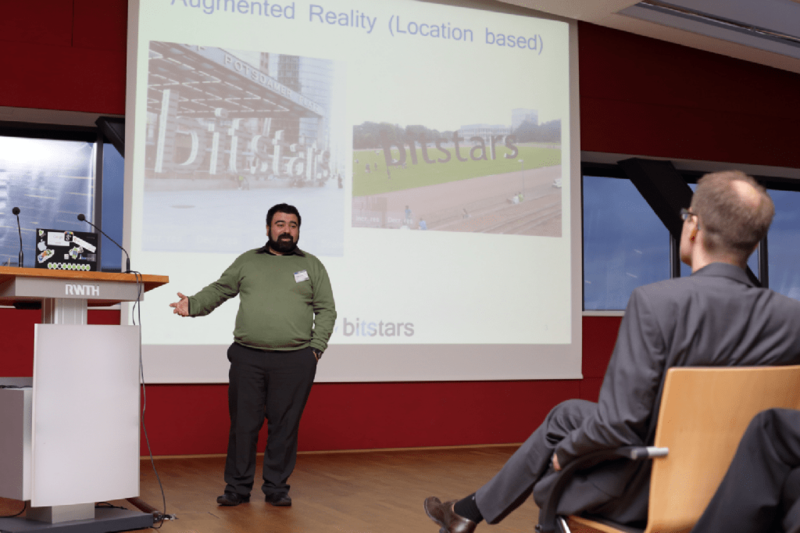 bitstars CEO Mostafa Akbari talking at the UMIC day in Aachen about Augmented Reality and the future challenges. UMIC is the Ultra high-speed Mobile Information and Communication systems research cluster established under the German Federal and State Government Excellence Initiative. 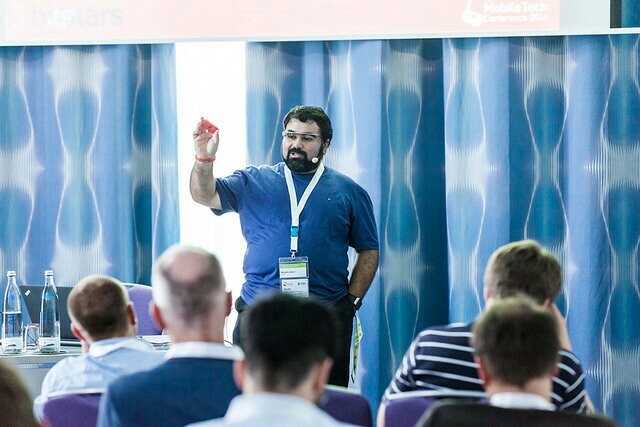 Today bitstars CEO Mostafa Akbari held a talk about SmartGlass and Augmented Reality SDKs & Technologies („Augmented-Reality-Szenarien und Entwicklung für Smartphone und SmartGlass“) at the Mobile TechCon 2013 in Berlin. Watch the full presentation in german below. For further information have a look at the Mobile Tech Conference 2013 website in german.